All photos on this page date back to 1938. 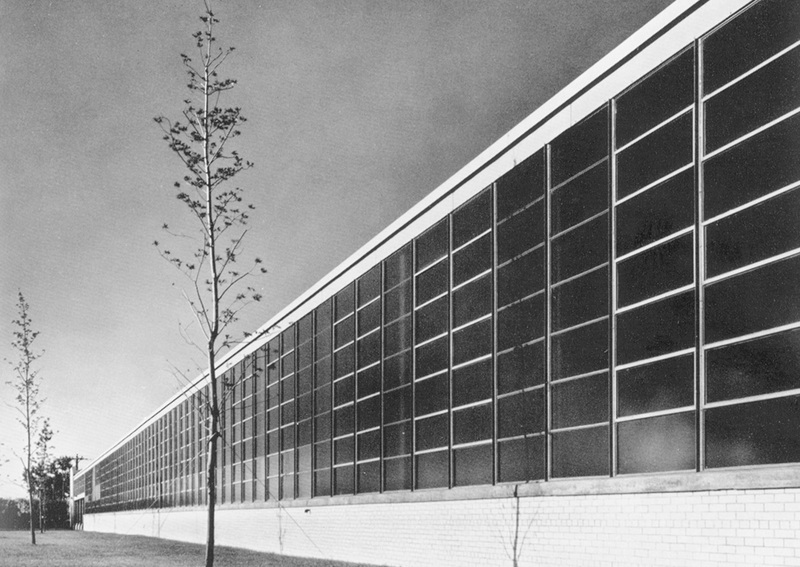 Architect Albert Kahn Inc. (Ford, General Motors, United Airlines, Upjohn and many other buildings) had planned and completed this new factory. In its time it was seen as one of the most functional industrial architecture and found its way into specific literature. In the background the company’s own power plant and water tower are visible. 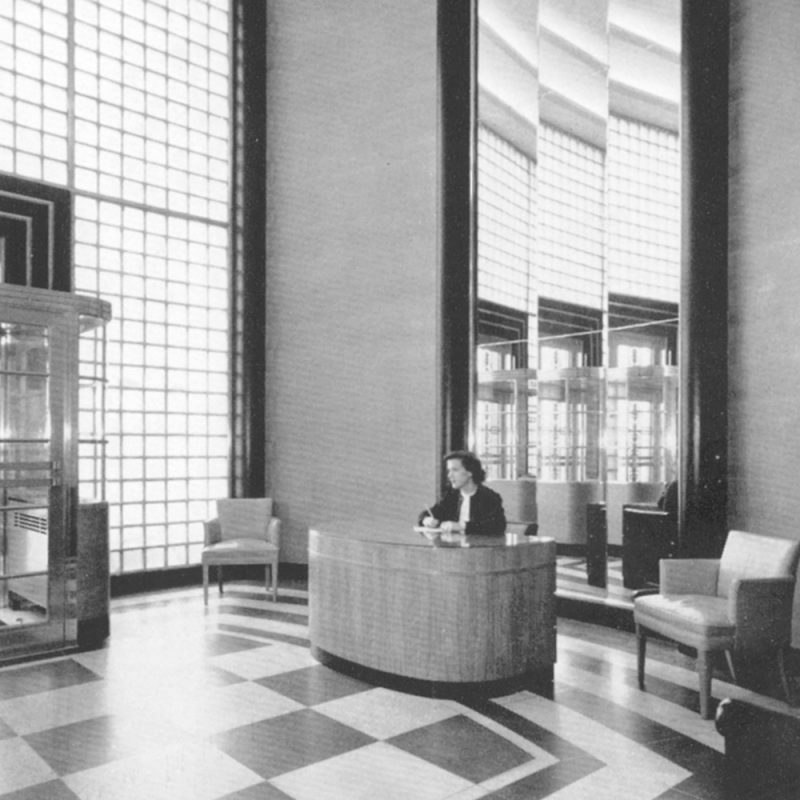 All staff, workers and clerks passed through the same entrance in the reception area which was a new thing then and is proof for the modern thinking of the owners and founders, the Cohen-Busiel siblings. Syma Cohen (*1891 +1990) had registered as early as July 1st, 1913 a cosmetic label in her and her siblings name. “Esther” was the name of her sister, who got married soon after and left the new company. Courage and entrepreneurial spirit of her younger brother Alfred (*1900 +1951) lead to an enormous success of the enterprise in the 1920ies, the company shares belonged equally to him and Syma then. 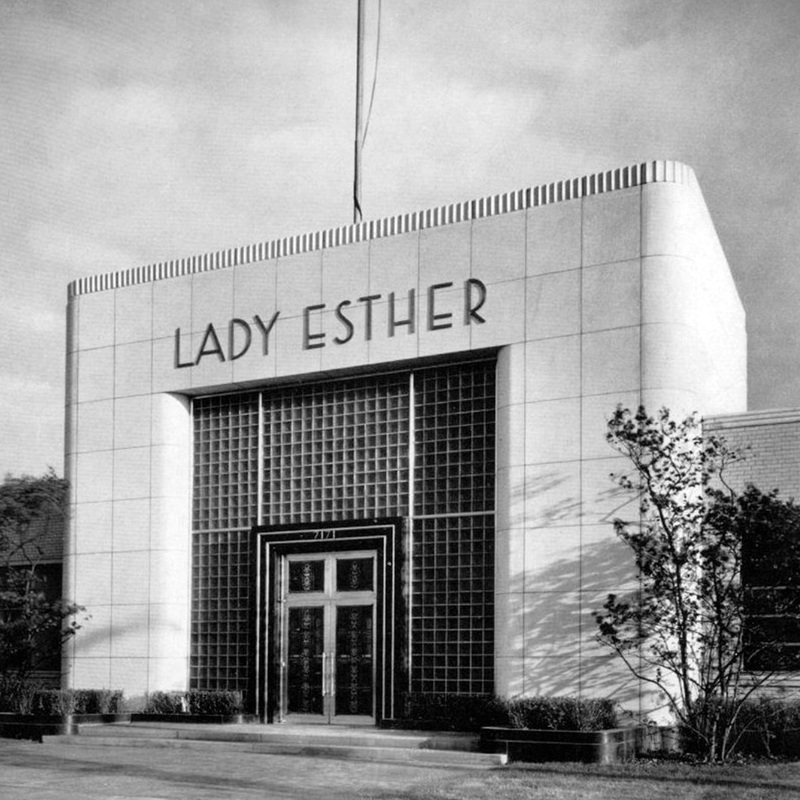 In only 20 years Lady Esther was the leading brand in the United States. Cycles of operation were planned before the structure was built. The office of Kahn Inc. had best experience since the were the contractors of Henry Ford who usually is regarded as the inventor of conveyor-belt-production. 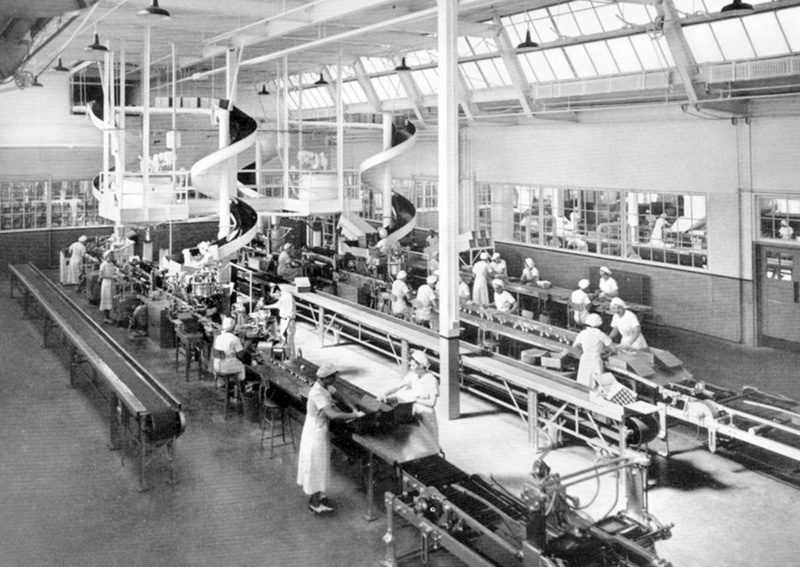 In the centre of the factory were the two main departments for Cream filling (Four Purpose Cream) and powder. Powder filling and packing. Particle exhaustion from above and beneath the working place mean job-safety. A novelty in the 1930ies. Cream filling department. Note the bright and clear atmosphere thanks to the skylights. 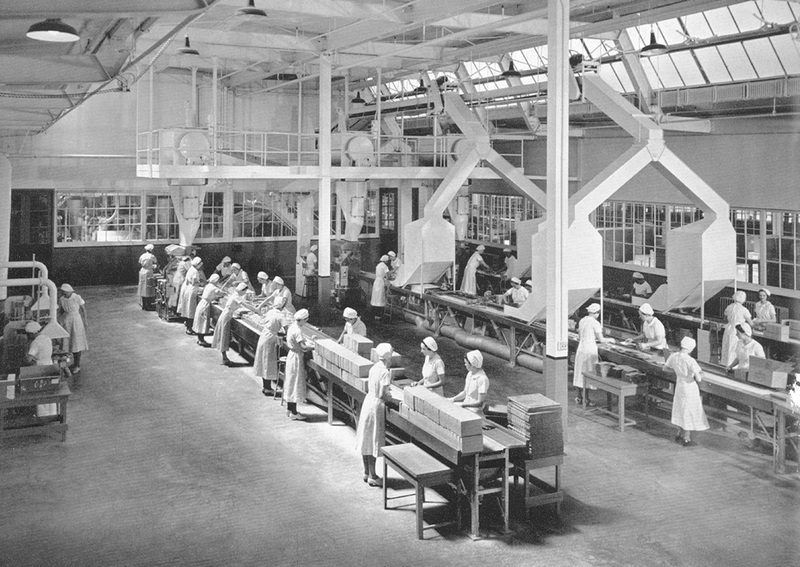 Note horizontal and helical conveyor units. Efficient transport meant railway in the middle of the last century and Chicago was by far the most important junction in the West. 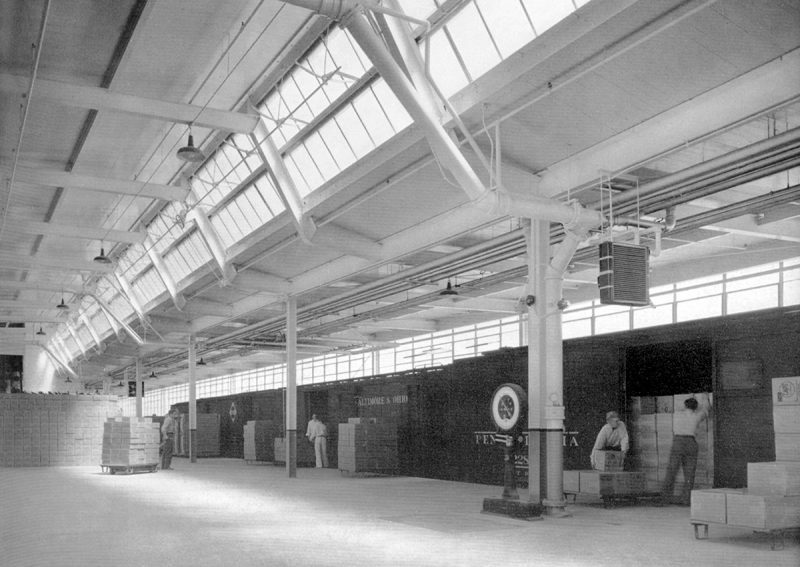 The factory was erected close to the great cargo transfer stations and housed its own railway siding. After Alfreds early and sudden death 1951, his will was contested by family members. Alfred owned all shares of the company when he died, he had paid Syma out two years before. A Probate Court ruled to auction the shares and pay out the descendents. In the US the Lady Esther brand is still known for its Four Purpose Cream® which is marketed by a Pharmaceutical Wholesale Company. Outside US, the trade mark rights belong to Lady Esther GmbH in Germany since the 1970ies.